The Photo Set (also known as Photo Booth) is a fun way to celebrate the very loving spouses in the States, which is also taking foot in Italy. It’s about devoting an angle to the location where the reception is held to set up a small photo set, usually during the aperitif or alternatively after lunch or dinner. The set is equipped with a camera that can be left at the disposal of the guests or we are looking after the lens to handle the situation and make sure that the right pictures are taken. 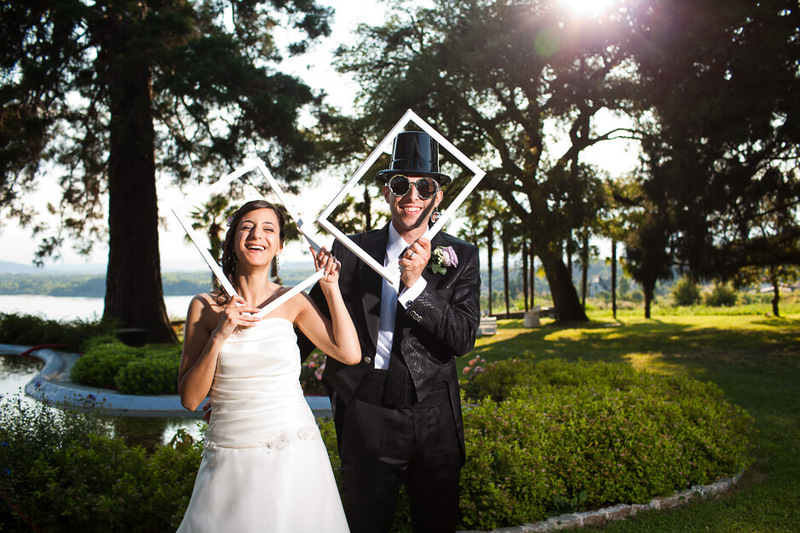 They are part of the set of special and joking objects, such as frames, blankets, hats, fake glasses and whiskers, buoys, water guns and other items that we agree in advance with the bride and groom. The end result is a memory of the different guests, some nice carnival pictures that will then enrich and give a touch of folly to the album, or create a small movie in stopmotion.